Beautiful brows. Through thick & thin. 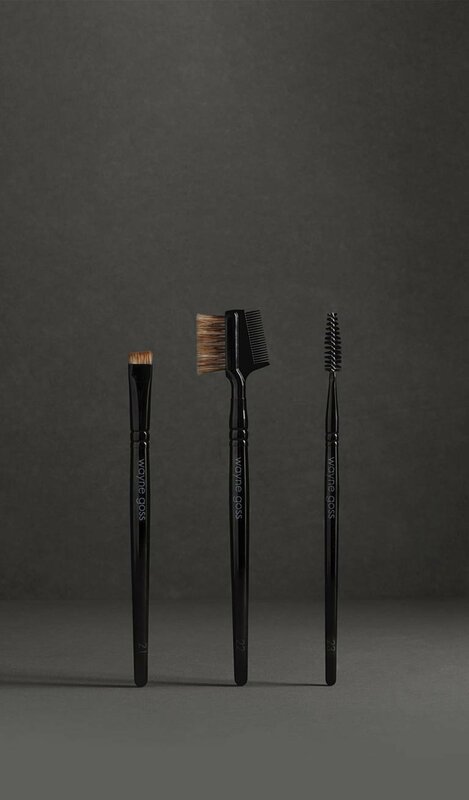 Wayne Goss The Brow Set"
The ultimate brow set for sculpting, filling, and styling your best brows yet! Designed by Wayne. Handcrafted in Japan. 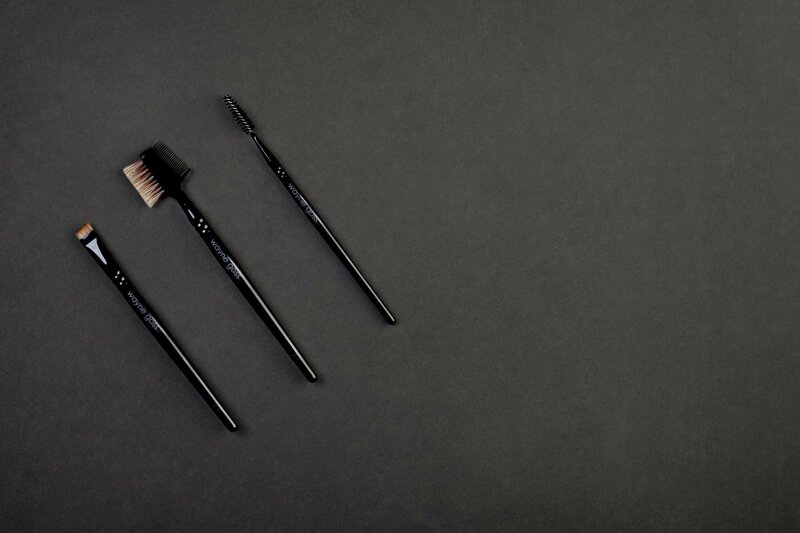 With a flat and fine tipped edge crafted of natural hair, the #21 brush is designed to work with any brow product from pencils to pomade. Just the right amount of stiffness allows application to reach each and every hair. All the way to skin at the base of your brow. 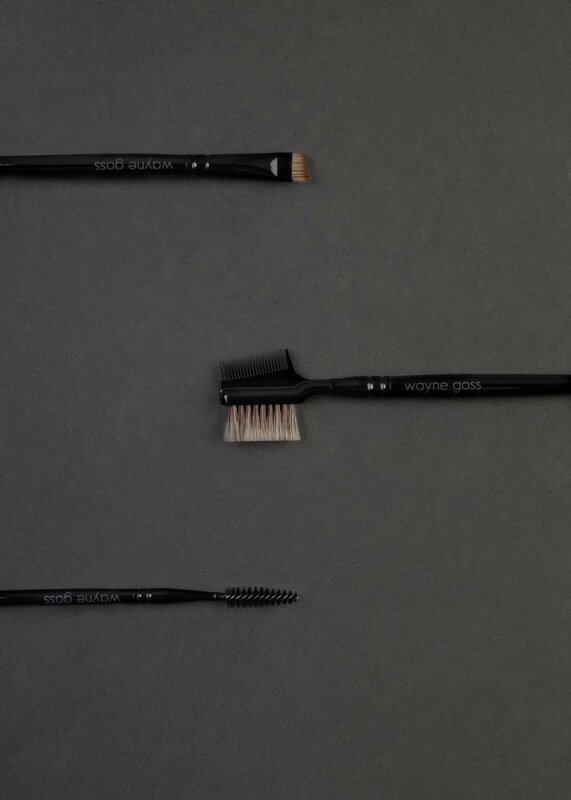 This double-ended brush takes every look to a new level. 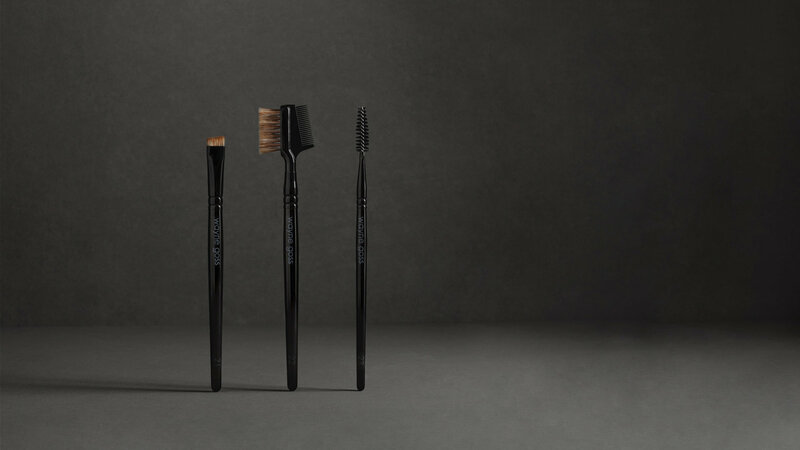 From blending an ombre brow or adding definition using the long hair natural bristles. The fine-toothed comb after a coat of mascara makes starburst splayed lashes finally yours! An upscale take on the classic spoolie. 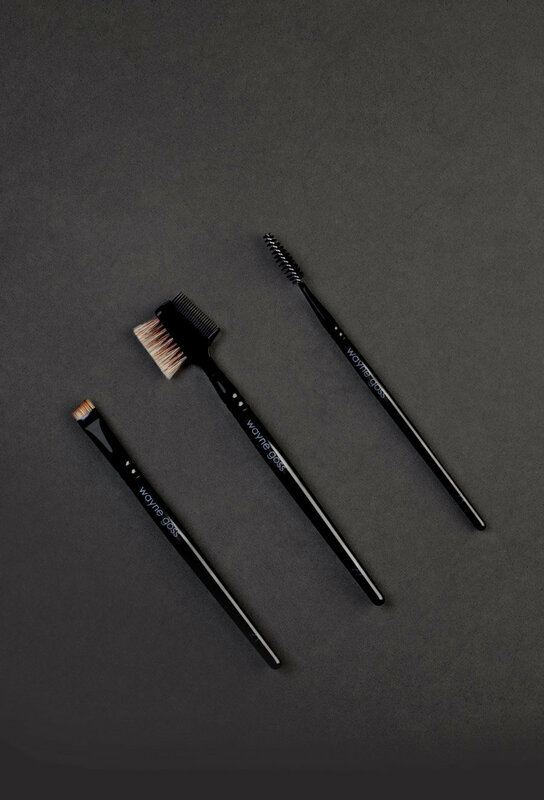 The cone-shaped brush makes finding your brow’s natural shape a breeze while removing any foundation trapped in the hair.